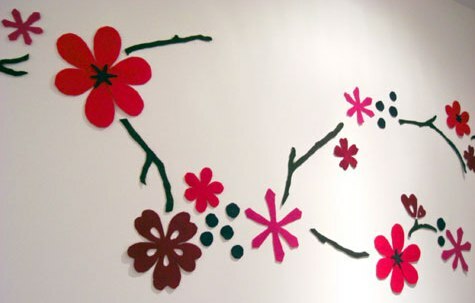 All you need is felt, painter’s tape, and scissors – and then basically the idea is to cut out simple shapes and stick them to a wall in your house. This is a very easy but effective way of making a plain room original and groovy! Click here for instructions.